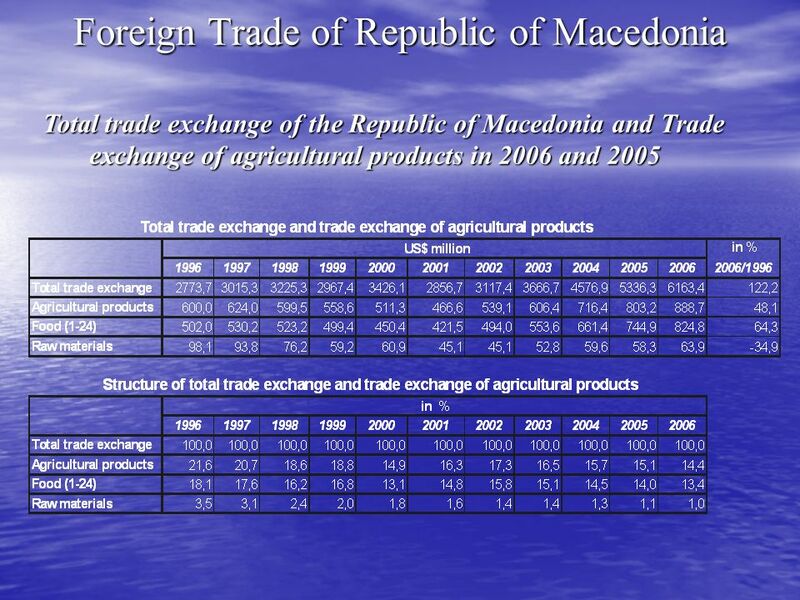 MINISTRY OF ECONOMY OF THE REPUBLIC OF MACEDONIA Regional USAID Agribusiness Projects Workshop Regional Trade Agreement Implications to Macedonian Agriculture/Agribusiness. 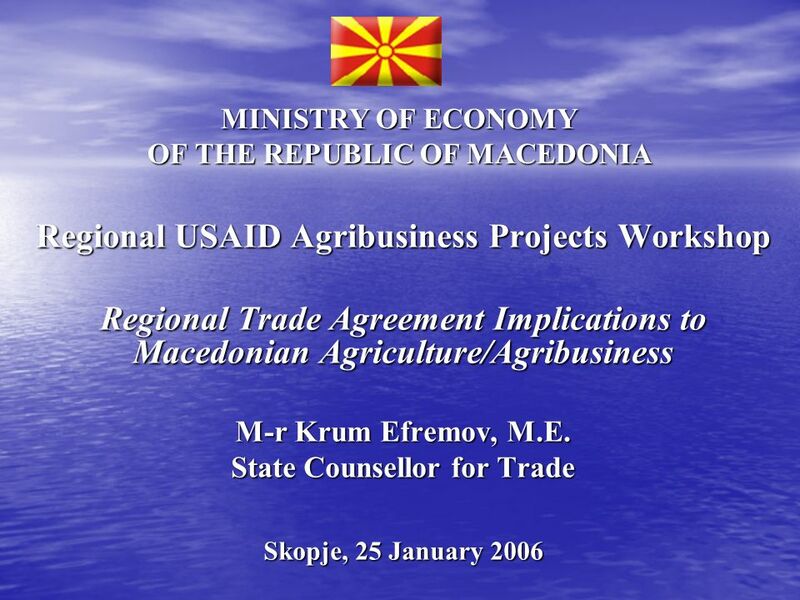 Download ppt "MINISTRY OF ECONOMY OF THE REPUBLIC OF MACEDONIA Regional USAID Agribusiness Projects Workshop Regional Trade Agreement Implications to Macedonian Agriculture/Agribusiness." The Role of Trade in Supporting International Efforts to Mitigate Climate Change WTO Public Forum 2007 Robert Teh WTO. EIONET – CIRCA Operation Zoran Lozanovski Ministry of Environment and Physical Planning Joint EEA-UNEP Regional Workshop on Environmental Information Management. 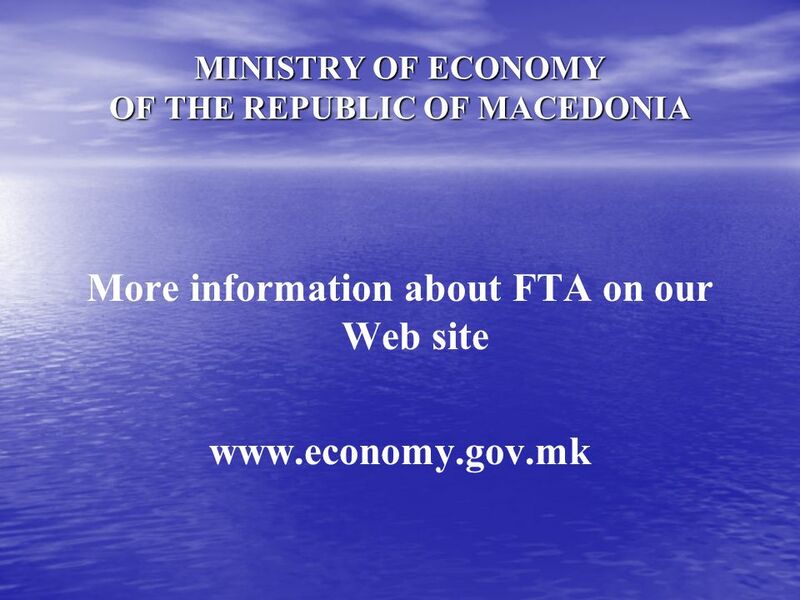 Government of the Republic of Macedonia Secretariat for European Affairs Communication strategy on the European Integration Process of the Republic of. 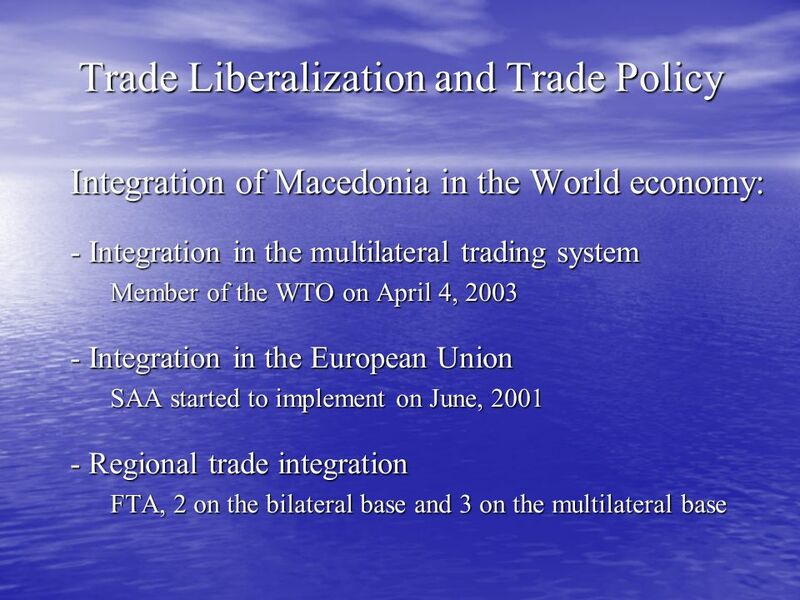 EU ACCESSION COMMUNICATIONS NETWORK Ohrid, September 2006. 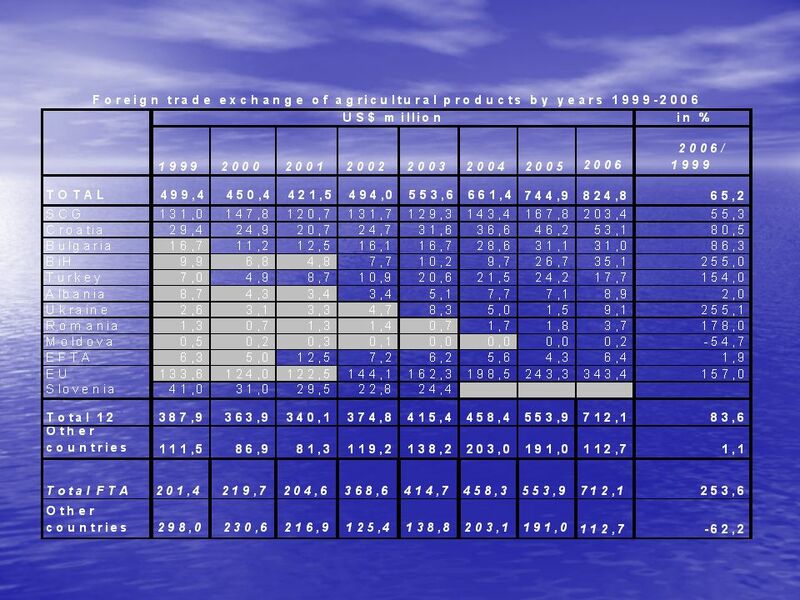 ACTIVITIES FOCUSING ON INFORMATION PROVISION AND PUBLICITY IN RELATION TO THE INTEGRATED OPERATIONAL PROGRAM FOR ANDALUSIA General Directorate. 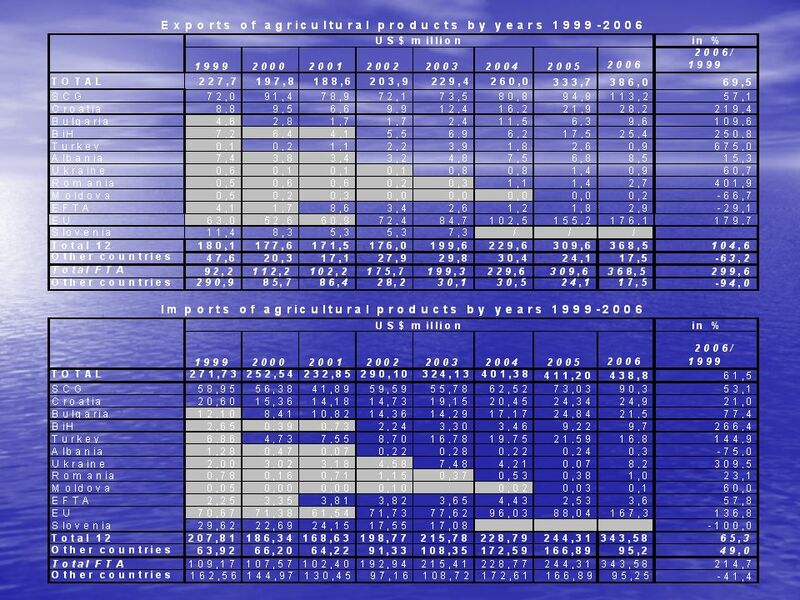 SOAS International Workshop Challenges and Prospects for Commodity Markets in the Global Economy A Workshop in Memory of Alfred Maizels 19th -20th September. 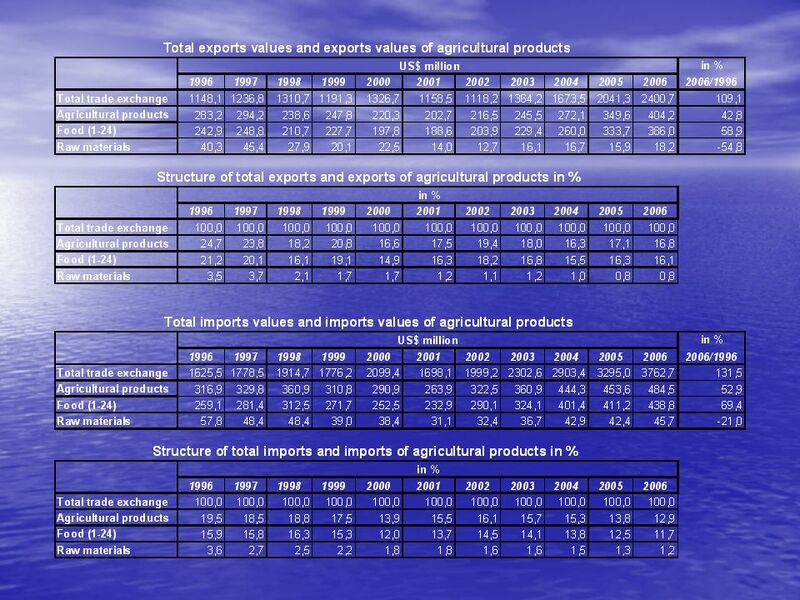 Polish-Israeli economic cooperation – current state and perspectives Ministry of Economy Trade and Investment Promotion Section Embassy of the Republic. Usage of the European Social Fund for capacity building in Latvia Solvita Gulbe Head of European Union Structural Funds Department State Chancellery of. 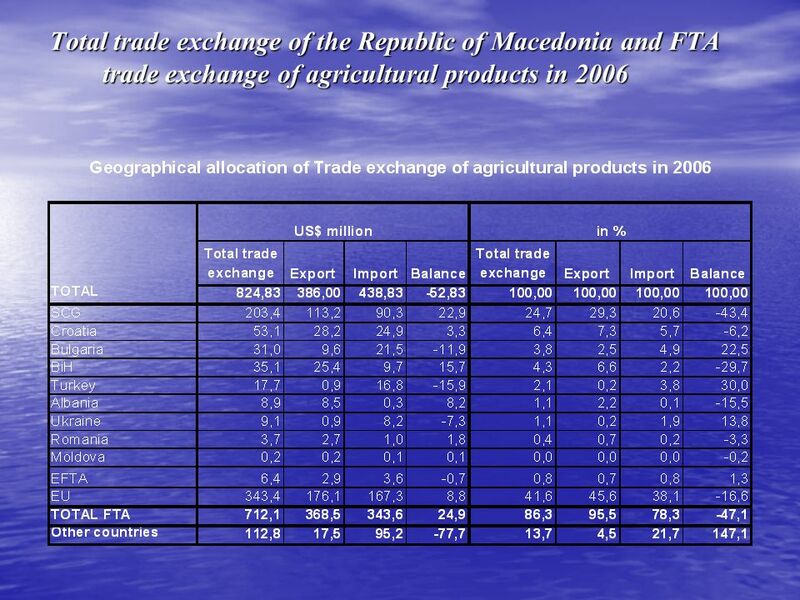 EU - ANDEAN COMMUNITY (CAN) TRADE AGREEMENT Camilo Tovar ALOP. Sixth Regional Forum on Public Procurement 2010, Istanbul Agency for Public Procurement of Goods, Works and Services under the Government of the Republic.